How do you make a decision that you’ve avoided for too long? Flip a coin? Make a list of pros and cons? Use a Magic 8 ball? Actually, that Magic 8 ball thing isn’t a bad idea. I can just see myself telling them, “sorry it’s taking me so long. The 8-ball keeps saying, “ask again later.” Or worse: “Better not tell you now.” As if a black plastic ball knows I just turned fifty and may be slightly more inclined to throw it across the yard like a softball. Hey, I pitched for my high school softball team. I could still do it, you know. See, there are these two guys. One is a cop. One is a handyman. Both are incredible in their own ways. And both have let me know they’re interested. And I made a decision, so you’d think it would be done, but it’s not, and here’s why. You think by the time you’re fifty, you’ll have all the answers. Your life will be set. You’ll know who you’re coming home to, where that home will be, and what you’re eating for dinner. You think everything will be easier because the struggles you had in your thirties and forties got you where you were supposed to be. That’s what they want you to believe, anyway. And I can tell you it’s all a pack of lies. And I was fine, you know? My puppy was the perfect companion, and nobody commented on how out of place my 50s vintage wardrobe looked in Dallas. 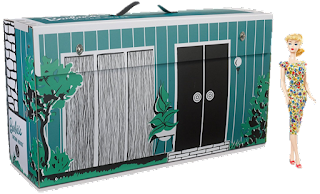 Without the complications of a relationship, I had time on my hands to make sure my decorating business succeeded and volunteer at the local theater that showed old movies and swim with the senior citizens each morning while my knee injury recovered. I didn’t think there’s a single thing wrong with my life. Sure, I flirted with my handyman, but it wasn’t like I expected a discount on services rendered. (Get your mind out of the gutter!) Hudson was talented and reliable. I had no intentions of dating him. And then that cop arrived and messed up everything. He accused Hudson of awful things and I had to get involved and prove Tex wrong. But even though he was nothing like me, I found we were very much alike, and I was attracted to that. I never told him how I felt, but I did kiss him. That may have tipped him off. I know it may sound like I’m whining over having two attractive men vying for my attention. This, I can say, is not a real problem. But I am fifty, and with fifty comes a bit of maturity. It is less fair for me to enjoy the situation than to choose one and let the other go. If I were thirty, I’d see things differently. Oh heck, if I were thirty, I’d trust the Magic 8-Ball. 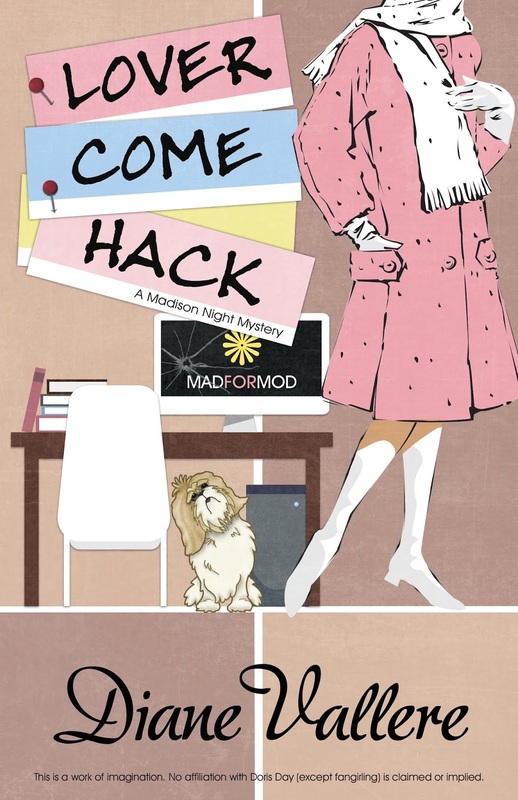 Find out who Madison chooses in LOVER COME HACK, Madison Night Mad for Mod Mystery #6, out October 30! And don't miss the preorder contest! 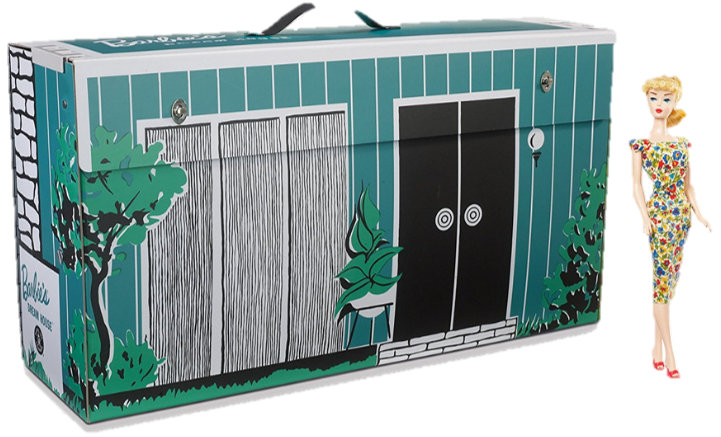 Enter to win a reissue of a 1962 Barbie Dream House! Check out all of the Madison Night Mysteries! I agree with using the Magic 8 Ball. It makes decisions so much easier! Valerie, I love this series. Madison has a hard decision to make, that's for sure. Lucky for her, she has two great options!